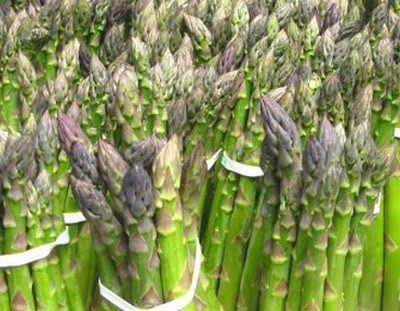 Are you looking for an original recipe for cooking asparagus? Here you are, thanks to these spaghetti with asparagus you will bring one of the most tasty spring vegetables on your table. Maybe you wouldn't say that, but with Thermomix you can cook even spaghetti, to be served with a delicate asparagus sauce prepared by yourself easily. Moreover, this recipe involves a very special savour that makes this dish really unique: curry! Asparagus is a spring vegetable and it has a very long list of good properties. It has got a particular but delicate savour, a little bit sophisticated I'd say. But you may use it in very simple recipes, like this one. I prepared them for a dinner with my friends. I served them on a white serving dish on where the bright green of the asparagus showed up, and I cut a dashing figure! I suggest another way to cook spaghetti with Thermomix, Bacon and Peppers Pasta. Would you like to vary the classic asparagus risotto? So try the Asparagus and Pancetta Risotto. If you like curry, you can also try this dish: Curry Rice and Meatballs. Cook asparagus using the Varoma tool. 15 Min. Temp. Varoma. Take off the Varoma tool, cut asparagus tips and put them aside. Chop onion inside the dry thermomix bowl. 3 Sec. Speed 7. Add asparagus cut into pieces and brown them. 3 Min. 100°C Speed 1. Add milk, curry, chilli pepper and salt. Cook 15 Min. 100°C Speed 1. Blend. 1 Min. Speed 8. Add water and salt. 7 Min. Temp. Varoma Speed 1. When it boils, put spaghetti through the hole on the bowl and cool. 3 Min. 100°C Speed Gentle Stirring Counter Clockwise. Once spaghetti go down, set the cooking time following the spaghetti indications. Dress spaghetti with the sauce, the asparagus tips and the parmesan cheese. If you have children who hate having green "things" in their dish, add tips to "adults" dishes only.